Professor Peter Batey stepped down from his role as NWDTC Director at the end of July, upon his retirement from the University of Liverpool. Peter has been the Director of the Centre since its formation in 2011 and the ESRC partnership between Liverpool, Lancaster and Manchester has gone from strength to strength under his leadership. Peter has been the Lever Professor of Town and Regional Planning at the University of Liverpool since 1989. A former Fulbright Scholar at the University of Illinois, Peter established an international reputation as a planning analyst, particularly in the fields of demographic-economic modelling and geodemographics. He served as World President of the Regional Science Association International and is a Fellow of the Academy of Social Sciences (FAcSS). He is an editor of the Town Planning Review and played a very active role in urban and regional affairs, notably as government-appointed independent chair of the 25-year Mersey Basin Campaign, one of the North West’s most successful cross-sector partnerships. Peter has also been Chairman of Governors at Merchant Taylors’ Schools, Crosby since 2011. We wish Peter well on his retirement, and thank him for all his hard work and excellent leadership during the past four years. Peter is replaced as Director by Professor Gabe Mythen, who has been shadowing him for the past 18 months in preparation for the role. 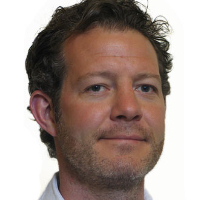 Gabe has been involved with the NWDTC since its inception and has previously held strategic roles in both Postgraduate Research and Research and Knowledge Exchange at the University of Liverpool. He is based in the School of Law and Social Justice and his research seeks to develop and promote critical approaches to risk and security management. This work is inter-disciplinary in nature, being located primarily at the intersection between Sociology and Criminology, but also engages with Political Science, Social Policy, International Relations and Media Studies. Gabe’s recent projects have examined the impacts and effects of UK national security policies and counter-radicalisation initiatives on minority groups. He maintains a keen interest in theoretical approaches toward risk, being the President of the International Sociological Association Research Network on the Sociology of Risk and Uncertainty. We welcome Gabe to the role and look forward to this new phase of our Doctoral Training Centre!